Dr. Zhang Fangliang, born in 1964, is the co-founder, chairman, an executive Director, and chief executive officer of the Company. He is primarily responsible for the development, positioning, and strategy planning of the Group. 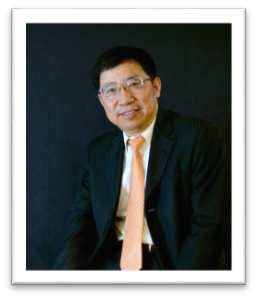 Dr. Zhang has nearly 20 years of experience in the biotechnology industry. Prior to joining the Group, from 1995 to 2002, he worked as a postdoctoral research fellow and an associate principal scientist at Schering-Plough. From 2002 to the present, Dr. Zhang worked as the chief executive officer of the Group. Dr. Zhang was also awarded the National Thousand Talents Program Distinguished Expert in 2010 and the Jiangsu Province High-Level Creative Talent Strategic Award in 2011. Dr. Zhang has published more than 15 biotechnology related scientific papers in international peer-reviewed journals and has been the inventor for more than five patents in relation to biotechnological products and/or services. 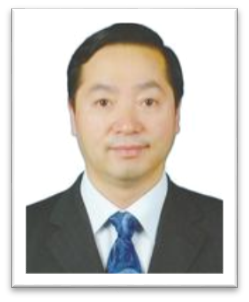 Dr. Zhang obtained a Bachelor of Engineering degree from Chengdu College of Geology (currently known as Chengdu University of Technology) in the PRC in July 1984 and a Master of Science degree from Nanjing University in the PRC in July 1987. He also obtained a Doctor of Philosophy degree from Duke University in the U.S. in September 1995. Ms. Wang Ye, born in 1968, is the co-founder, an executive Director and chief operating officer of the Company and is primarily responsible for the Group’s strategies and overall operational management. Prior to joining the Group, she worked as the environmental monitoring engineer at Shenzhen Futian Environment Protection Surveillance Station from July 1993 to July 2000. Ms. Wang obtained a Bachelor of Science in Microbiology and a Master of Science degree from Wuhan University in the PRC in July 1990 and in August 1993, respectively. She also obtained a Master of Science in Computer Sciences degree from Bridgeport University in the United States in December 2003. She obtained an Executive Master of Business Administration degree from the China Europe International Business School in the PRC in August 2014. Mr. Meng Jiange, born in 1968, was appointed as an executive Director of the Company and is primarily responsible for the Company’s IR matters. He was appointed as the vice president of finance of the Group in April 2010 when he joined the Group. Mr. Meng has over 25 years of experience in finance and accounting. Prior to joining the Group, from July 1990 to October 1997, Mr. Meng worked at CCCC Guangzhou Dredging Co., Ltd.. From January 1999 to May 2000, Mr. Meng worked as the national finance manager at Guangdong Whirlpool Home Appliance Group. From May 2000 to July 2004, Mr. Meng worked at Schering-Plough China as a branch finance manager and the accounting and IT manager in the head office. From September 2004 to December 2007, Mr. Meng worked as the Asia finance controller of Saint Gobain Grains and Powder Division. 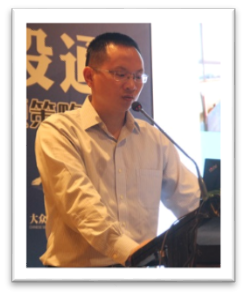 From March 2008 to March 2010, Mr. Meng worked as the chief financial officer of Quay Magnesium. Mr. Meng graduated from Changsha Communications Institute (currently known as Changsha University of Science Technology) in the PRC with a Bachelor of Engineering degree in July 1990. 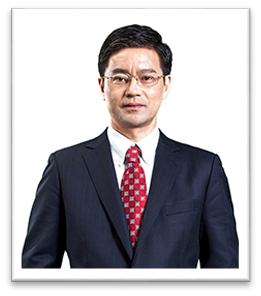 Dr. Wang Luquan, born in 1969, is a co-founder and a non-executive Director of the Company. He is primarily responsible for the Group’s strategies and operational management. From 2003 to 2014, Dr. Wang was the president of GS Corp and is still currently a director of GS Corp. Dr. Wang is currently the director of two of the Company’s subsidiaries, namely, GS HK and GS USA. 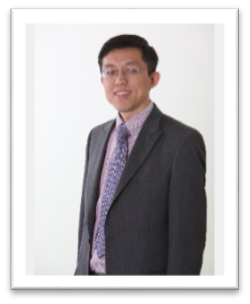 Dr. Wang has nearly 24 years of experience in the biotechnology industry. Prior to joining the Group, from 1991 to 1996, he worked as a graduate research assistant, and from 1995 to 1996, a bioinformatics staff at Rutgers University in the United States. From 1996 to 2003, Dr. Wang was a senior principal scientist at Schering-Plough Research Institute. Dr. Wang obtained a Bachelor of Science in Biochemistry degree from Shandong University in the PRC in July 1991 and a Doctor of Philosophy degree from Rutgers University in the United States in October 1996. Mr. Pan Yuexin,born in 1958, was appointed as a non-executive Director of the Company and is primarily responsible for the Group’s strategies and operational management. Mr. Pan graduated from the Zhejiang Branch of the Open University of China with a Chinese language and literature diploma in July 1985. Mr. Pan graduated from the Chinese Academy of Social Sciences with a business law post graduate degree in July 1987. Mr. Pan has been a partner of Jun He Law Offices from October 1992 to May 2003 and July 2009 to February 2013, as well as a partner of Shanghai Ridingsheng Equity Investment Services Ltd. since March 2013. Mr. Pan was the committee member and secretary general of the Education Committee of the All China Lawyers Association, PRC from 2001 to 2003. He was also the director of the Hainan and Shanghai branches of Jun He Law Offices from October 1992 to May 2003 and deputy director of the Education Committee of the Shanghai Bar Association from 2000 to 2003. Mr. Pan was an independent non-executive director of Jiangling Motors Co., Ltd. (SZSE: 000550), which is listed on the Shenzhen Stock Exchange, from 2005 to 2009, Sinochem International Corporation (SHA: 600500), which is listed on the Shanghai Stock Exchange, from 2002 to 2003, Shanghai Tunnel Engineering Co., Ltd. (SHA: 600820), which is listed on the Shanghai Stock Exchange, from 2009 to 2015, GreatWall Movie and Television Co., Ltd. (SZSE: 002071), which is listed on the Shenzhen Stock Exchange, from 2011 to 2014, and Simei Media Co., Ltd (SZSE: 002712) from 2009 to 2012 before it was listed on the Shenzhen Stock Exchange in 2014. Mr. Guo Hongxin, born in 1963, was appointed as an independent non-executive Director of the Company. 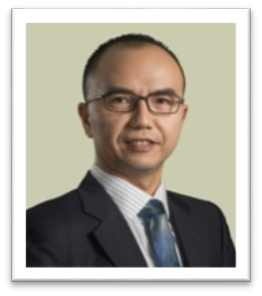 Mr. Guo is the chairman of our remuneration committee and a member of our audit committee (“Audit Committee”). From July 1983 to March 1998, Mr. Guo was working at the Nanjing School of Chemical Engineering. Since April 1998, he has been the chairman of the board of Sunpower Group Ltd, which was listed on the Singapore Exchange SESDAQ in March 2005 and has been listed on the Singapore Exchange Mainboard since August 2007 (SPWG: Singapore Exchange). Mr. Guo obtained a Diploma in Chemical Thermal Engineering from Nanjing Chemical Engineering College (currently known as Nanjing Normal University) in the PRC in July 1983. Mr. Guo obtained a senior engineering qualification from Nanjing University of Chemical Technology (currently known as Nanjing Tech University) in the PRC in March 1997. He also obtained a Doctor of Philosophy in Geotechnical Engineering degree from the Chinese Academy of Sciences in the PRC in January 2010. He also obtained an Executive Master of Business Administration degree from Tsinghua University in the PRC in July 2014. Mr. Dai Zumian,born in 1977, was appointed as an independent non-executive Director of the Company. Mr. Dai is the chairman of the Audit Committee, and a member of the Remuneration Committee and the Nomination Committee. Mr. Dai is a member of the Chinese Institute of Certified Public Accounts as well as a fellow of Association of Chartered Certified Accountants. From July 1999 to August 2006, he gained over seven years’ experience in auditing. His experience in auditing includes that gained at PricewaterhouseCoopers Zhongtian Certified Public Accountants from February 2005 to August 2006. Mr. Dai was the qualified accountant and company secretary of Hisense Kelon Electrical Holdings Limited (HKSE: 921, SZSX: 000921), which is listed on the Main Board of the Stock Exchange and the Shenzhen Stock Exchange, from September 2006 to August 2007. Mr. Dai served as the chief financial officer of Shanghai Golden Monkey Food Joint Stock Co., Ltd. from February 2009 to April 2012 and of Xiezhong International Holdings Limited (HKSE: 3663), which is listed on the Main Board of the Stock Exchange, since May 2012. Mr. Dai graduated from Shanghai University of Finance and Economics in the PRC with a Bachelor of International Business Administration degree in June 1999. He also holds an Executive Master of Business Administration degree from China Europe International Business School in the PRC earned in October 2013. Ms. Zhang Min, born in 1973, was appointed as an independent non-executive Director of the Company. 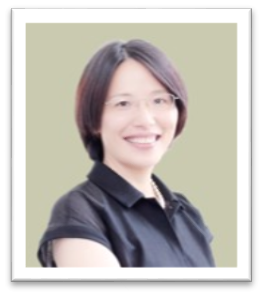 Ms. Zhang is a member of our Audit Committee and Nomination Committee. 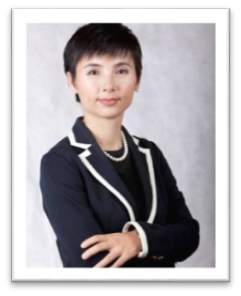 Ms. Zhang is currently the chief executive officer of China Lodging Group, which is listed on Nasdaq (Nasdaq: HTHT) in the United States. She served as the chief financial officer and president from 2008 to 2015 and from January 2015 to May 2015, respectively. Between 2013 and 2015, Ms. Zhang also assumed the role of the chief strategy officer of China Lodging Group. Ms. Zhang has also been a director of Synutra International, Inc., which is listed on Nasdaq (Nasdaq: SYUT) in the United States, during February 2011 to November 2015, and China Quanjude (Group) Co., Ltd (SZSE: 002186), which is listed on the Shenzhen Stock Exchange, during August 2014 to July 2016. Ms. Zhang obtained both her Bachelor in International Business Management and Master in Economics degrees from the University of International Business and Economics in the PRC in June 1994 and July 1997, respectively. She also obtained a Master in Business Administration degree from Harvard Business School in the United States in June 2003.